Greenville, SC – The Greenville Triumph defeated the visiting Chattanooga Red Wolves 1-0 behind a strong performance from Goalkeeper Dallas Jaye and their veteran back line Saturday night in the club’s second home match at Legacy Early College Field. The club’s first three contests have all been decided by a single-goal margin. The Triumph were challenged by a veteran Chattanooga roster that featured six players 30 and older. The Triumph initially broke through with what looked like a goal from Carlos Gomez in the 11th minute, only to be waived off by a late offside call. The match was knotted 0-0 at the half, with the Triumph outshooting the Red Wolves 7-3. After several narrow misses, Greenville converted in the 74th minute, as forward Jake Keegan scored on an assist by Carlos Gomez. The pair teamed up last week against Lansing for the club’s first ever goal, and the two connected again on a cross from the end line that Keegan buried from close range. Jaye collected a number of big saves late in the match and the Triumph held on to win their second straight match and stay unbeaten at home in addition to tallying the club’s first clean sheet. 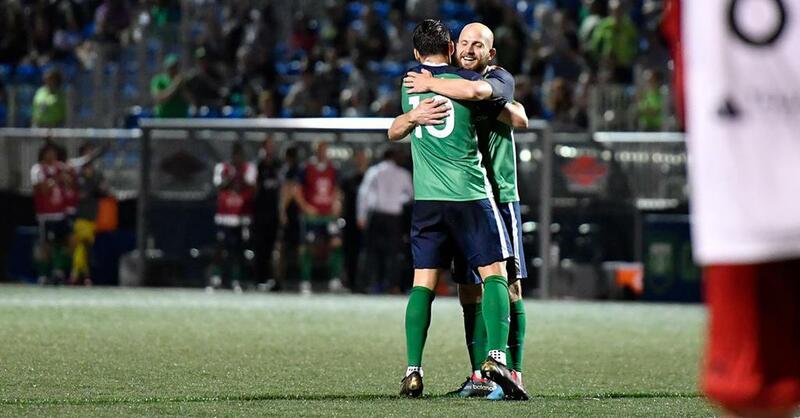 The Triumph came in to the match shorthanded, with two players on suspension from fouls incurred in the club’s previous match against Lansing. The match saw the professional debut of Greenville defender Reyong Choi and first starts from Travis Ward and Dominic Boland. The Triumph finish up a 3-match home stand at Legacy Early College Field next Saturday, April 20th against the Richmond Kickers. Tickets can be purchased at GreenvilleTriumph.com/tickets.